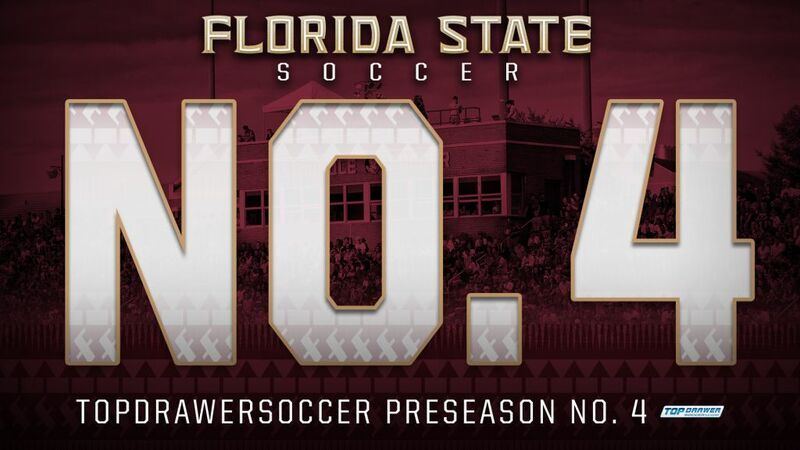 TALLAHASSEE, Fla. – With the 2017 season just days away, the final group of preseason announcements have arrived for Florida State as TopDrawerSoccer has released its preseason Top 25 poll, named its Best XI teams and announced its Preseason Top 100 list. The Seminoles come in at No. 4 on the national poll, after finishing the 2016 season ranked No. 19 by TDS with a 14-4-4 record. Returning 10 of 11 starters from last year, and predicted to win the ACC for the fifth season in a row, Florida State has been recognized as one of the best in the country leading into 2017. 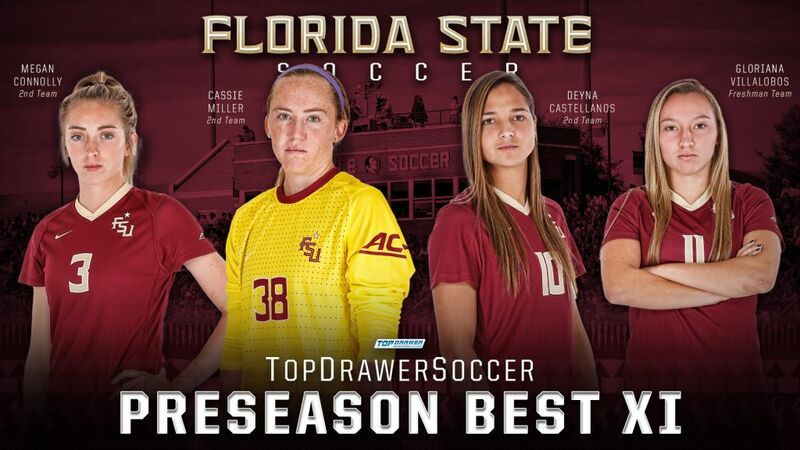 Three of those returning starters were among the 33 players named to the Best XI teams as redshirt senior Cassie Miller, junior Megan Connolly and sophomore Deyna Castellanos were each selected to the Second Team. It is the second year in a row that Connolly has been chosen to the preseason Second Team, while Miller started 2016 on the Third Team. 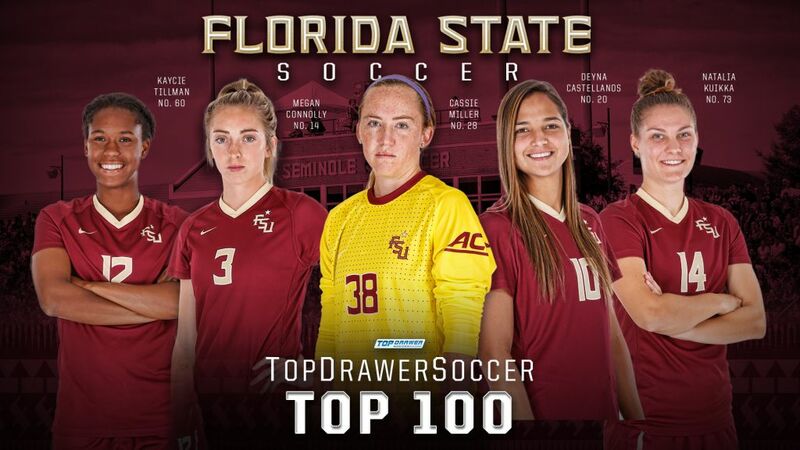 Newcomer Gloriana Villalobos earned a spot on the 2017 TDS Freshman Best XI, as the Costa Rica native comes to Tallahassee highly touted after her impressive performances on the international stage, including the U-17 and U-20 FIFA Women’s World Cups in 2014. Five Florida State players were recognized on the TDS Preseason Top 100, with Connolly topping the list at No. 14. Castellanos (No. 20) and Miller (No. 28) were also in the top 30, while juniors Kaycie Tillman (No. 60) and Natalia Kuikka (No. 73) rounded out the list. The Seminoles are tied with Penn State and Stanford as the only schools with five members each on the TDS Preseason Top 100. The Seminoles will open the 2017 season on Friday, August 18 at 7:00 p.m. as FSU hosts UNC Greensboro at the Seminole Soccer Complex. Admission is free for all regular season home soccer matches.